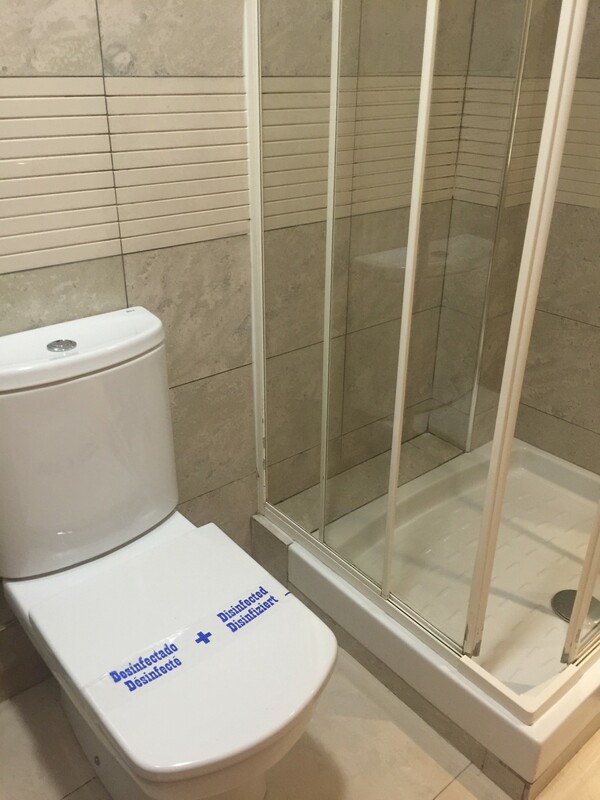 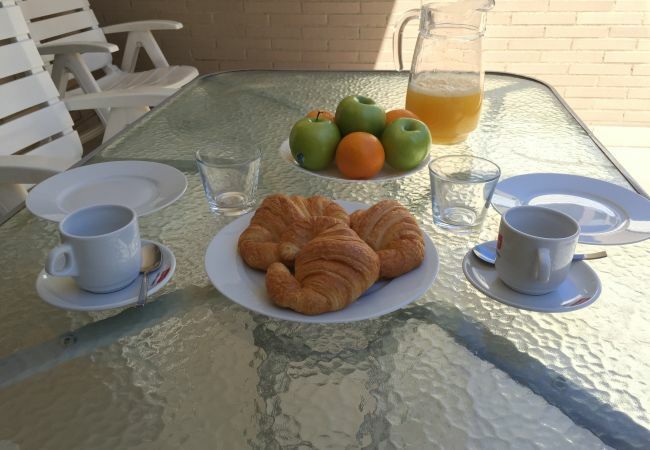 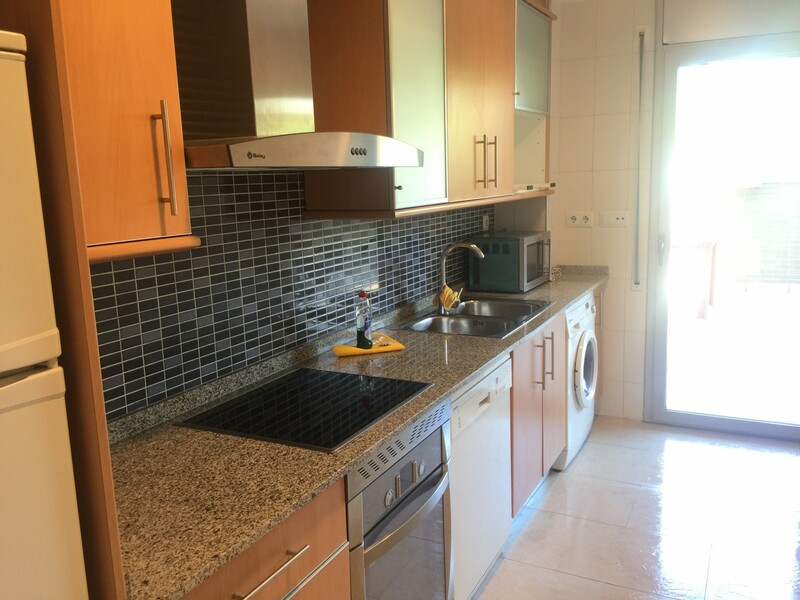 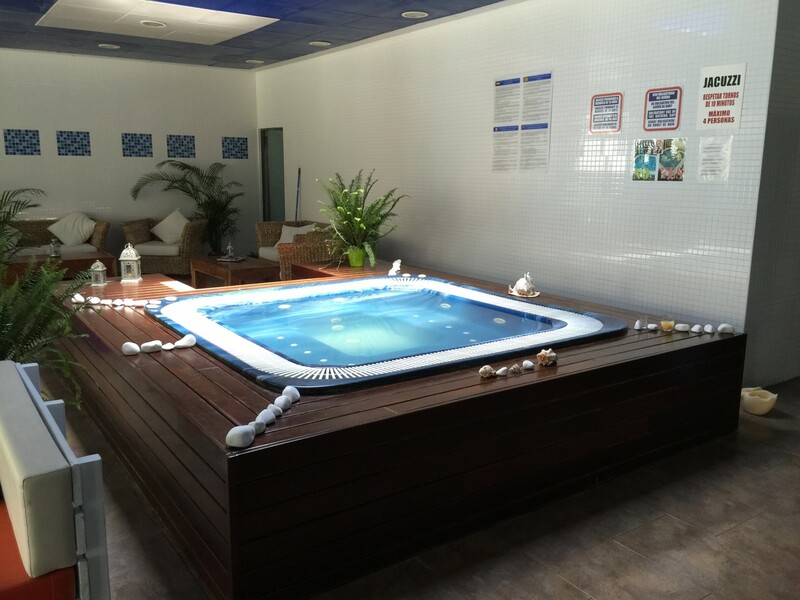 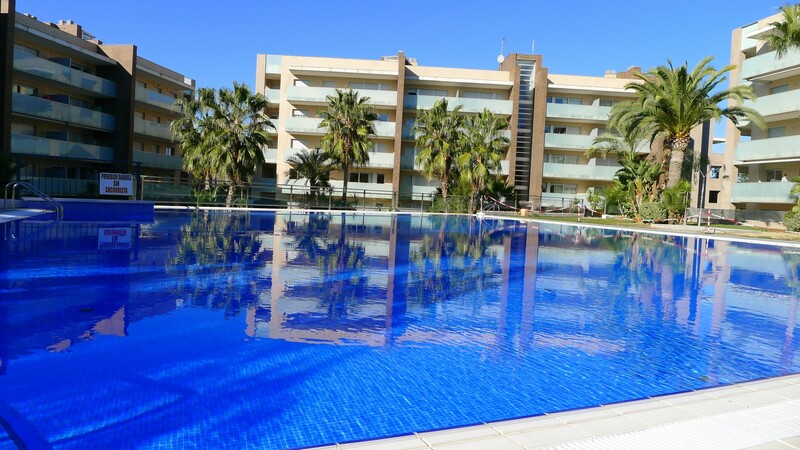 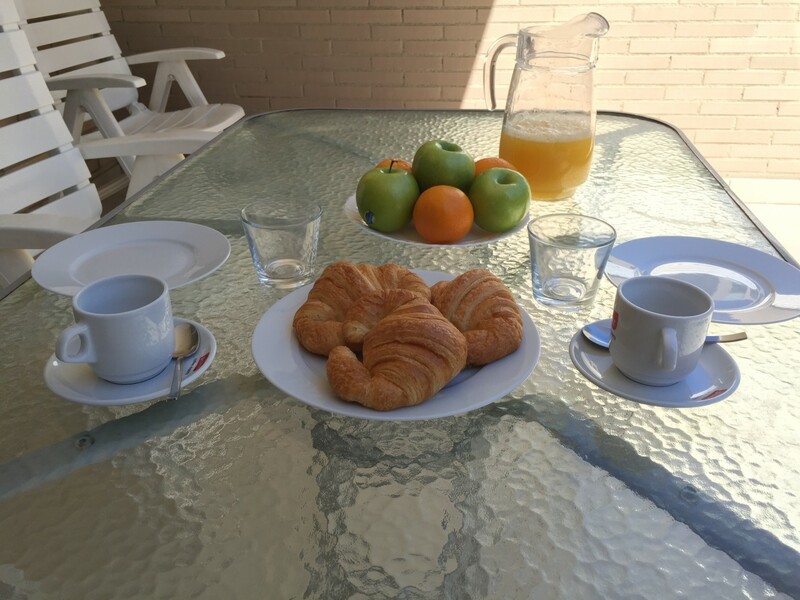 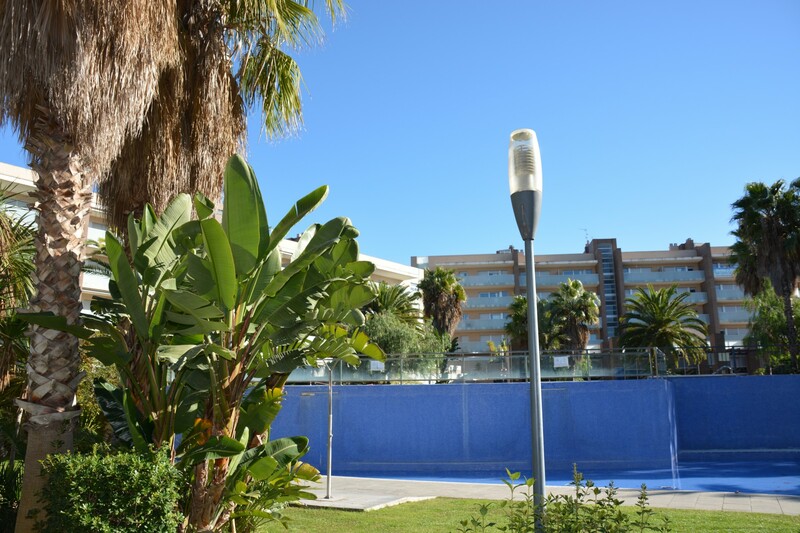 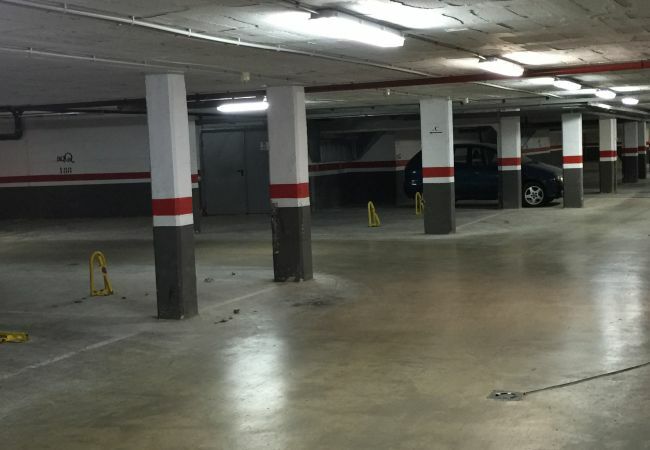 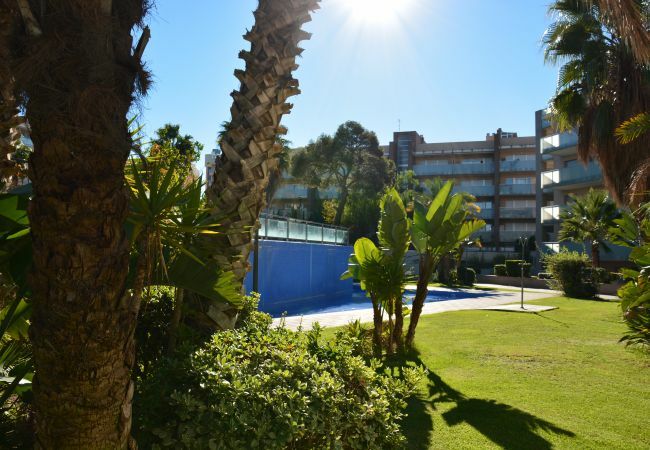 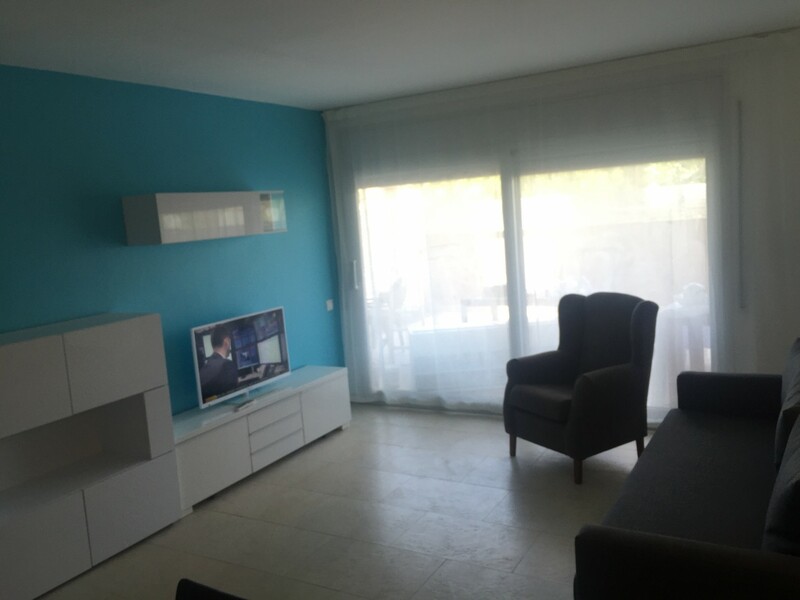 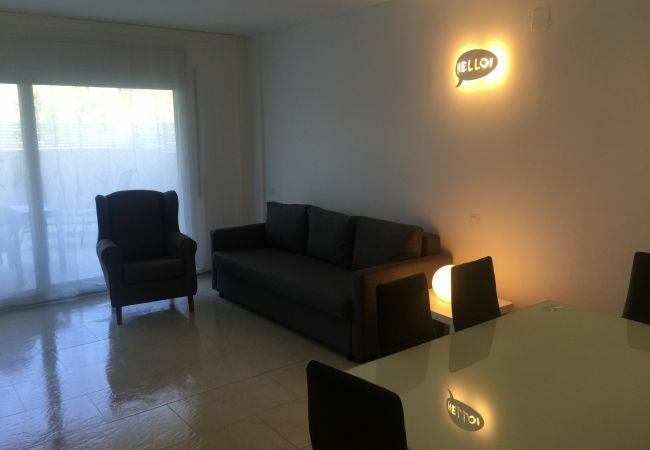 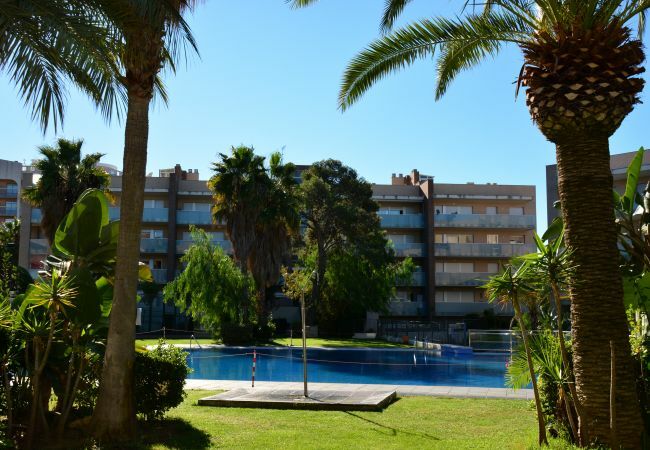 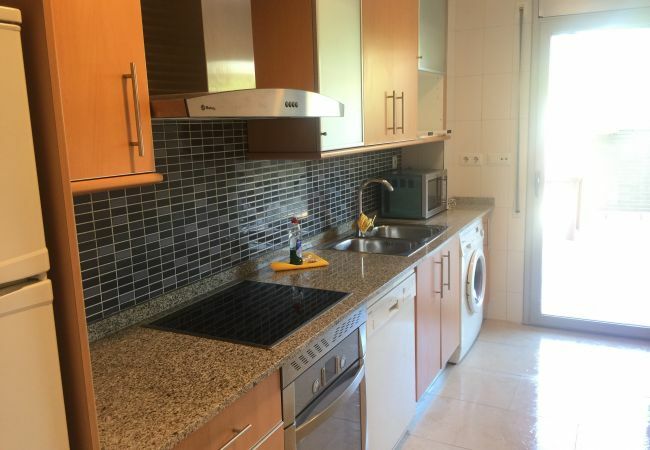 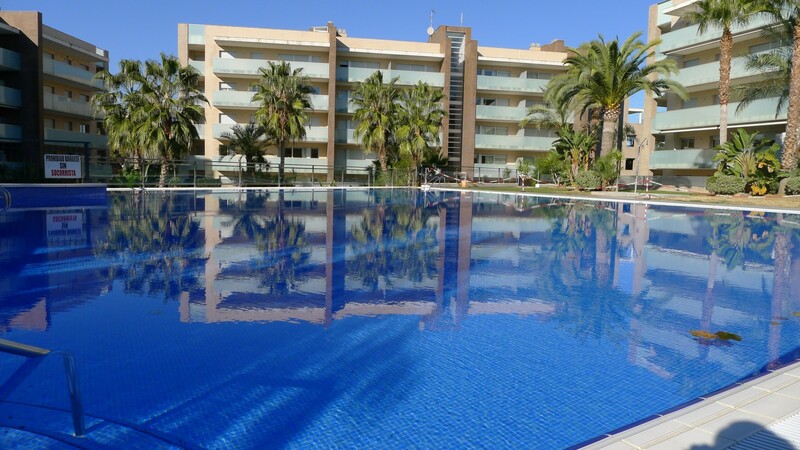 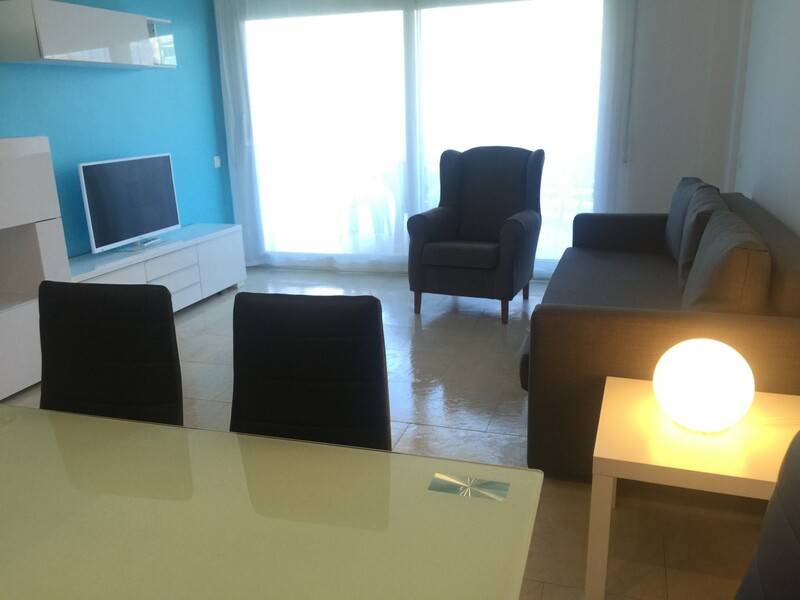 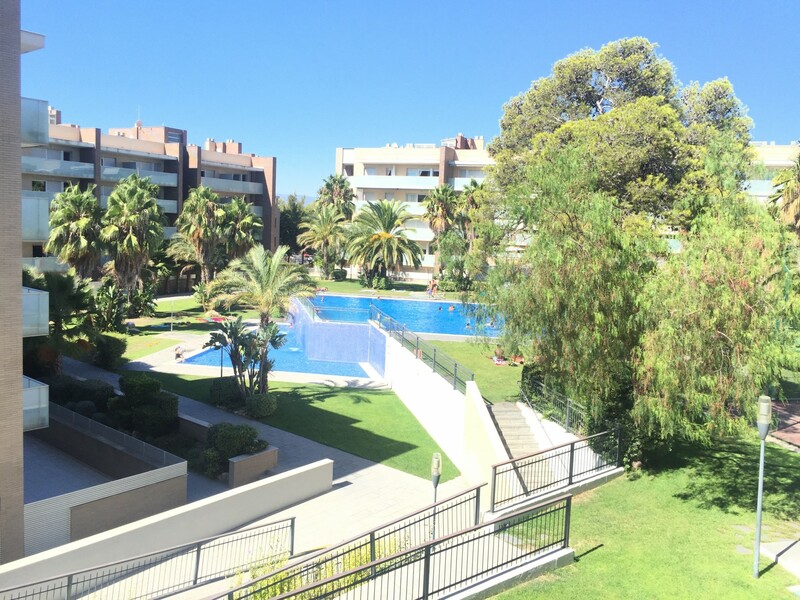 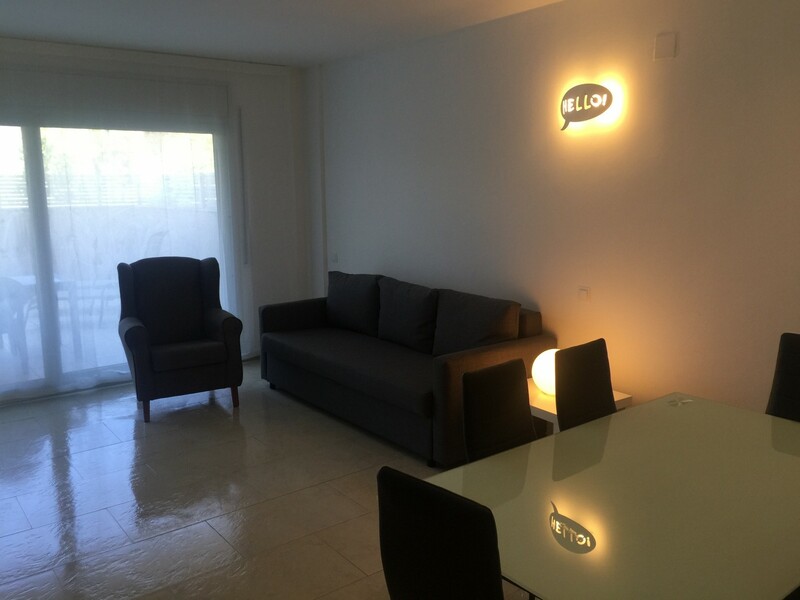 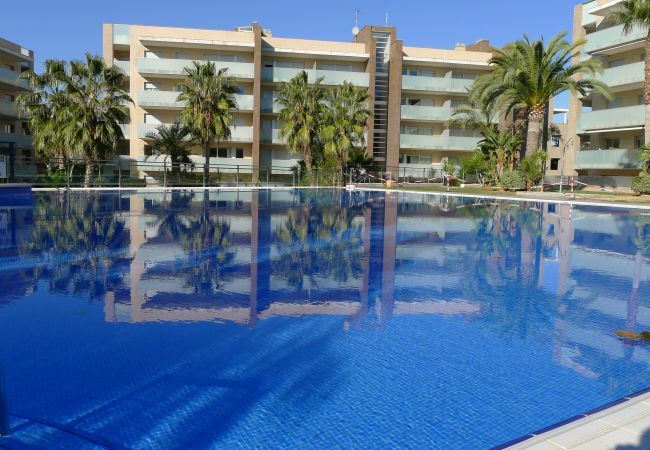 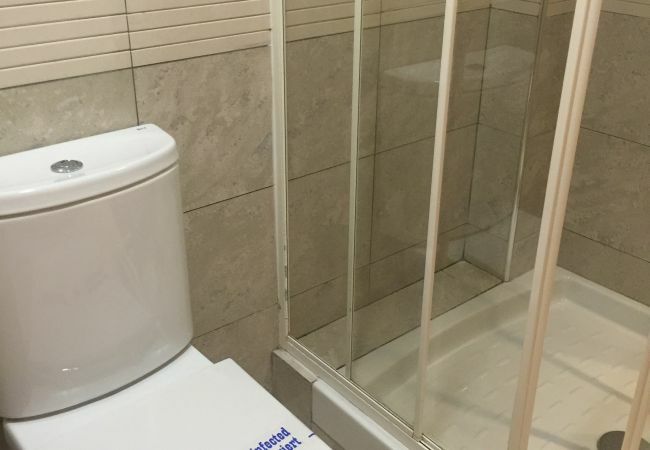 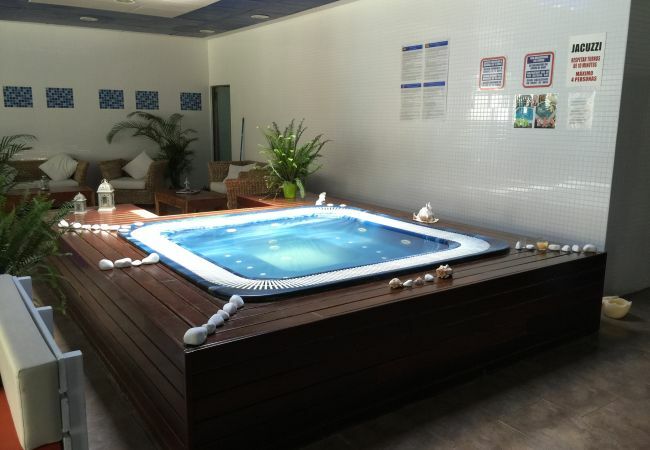 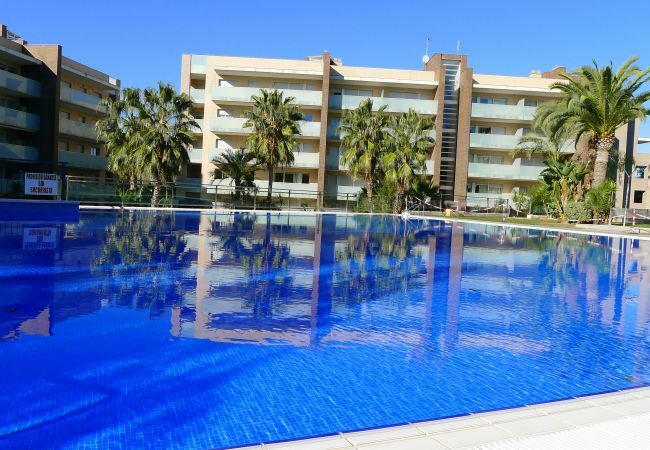 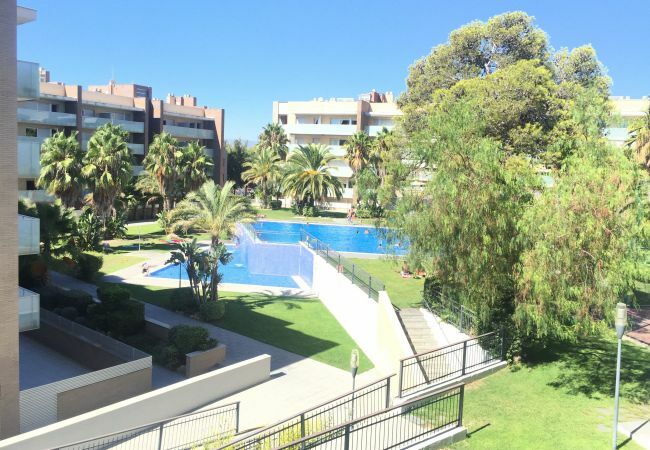 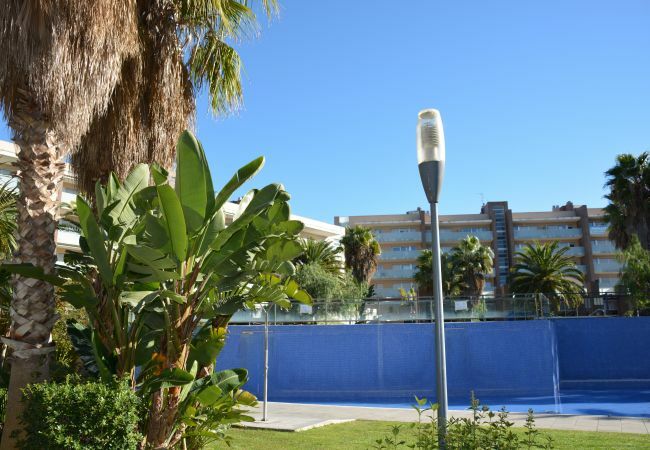 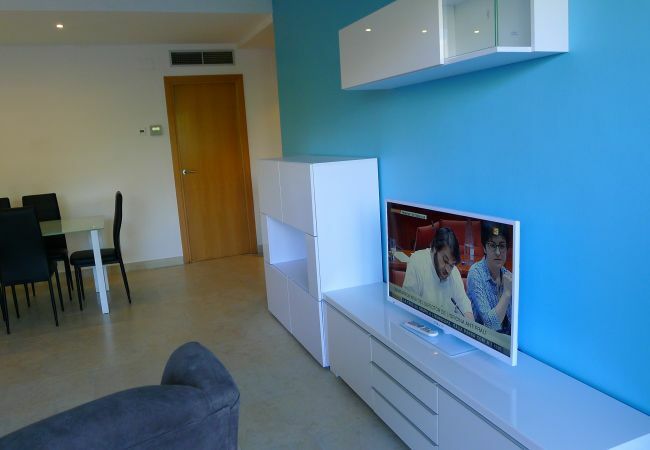 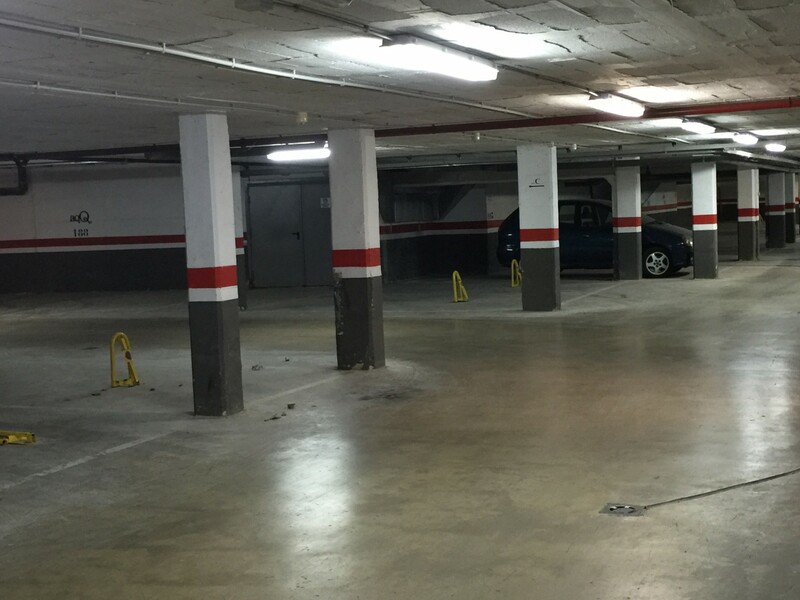 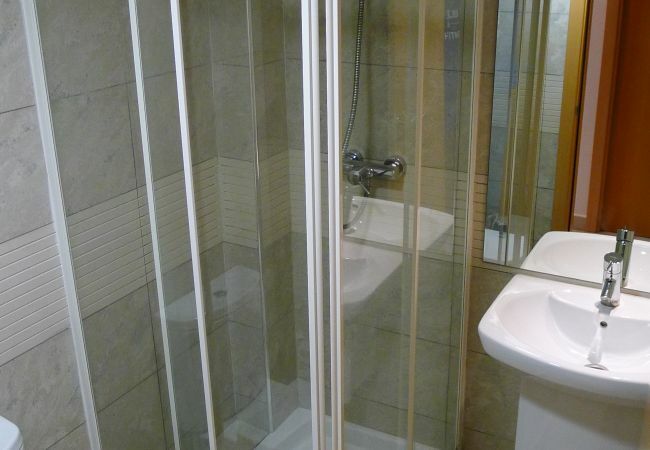 The apartment in Salou has 2 bedrooms and has capacity for 6 people. 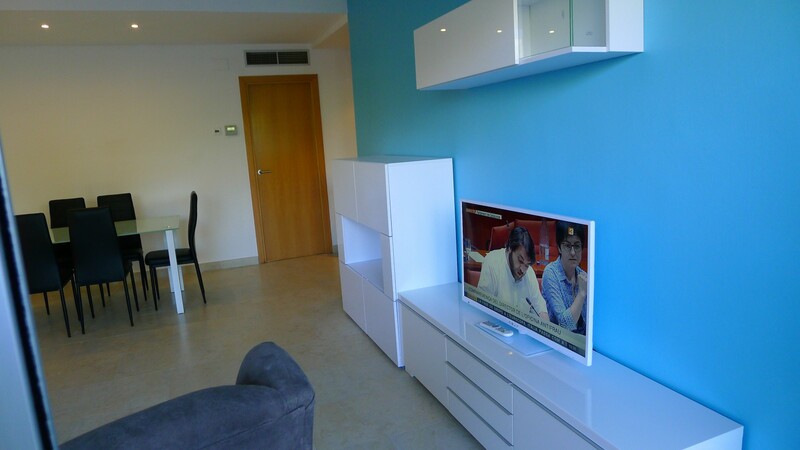 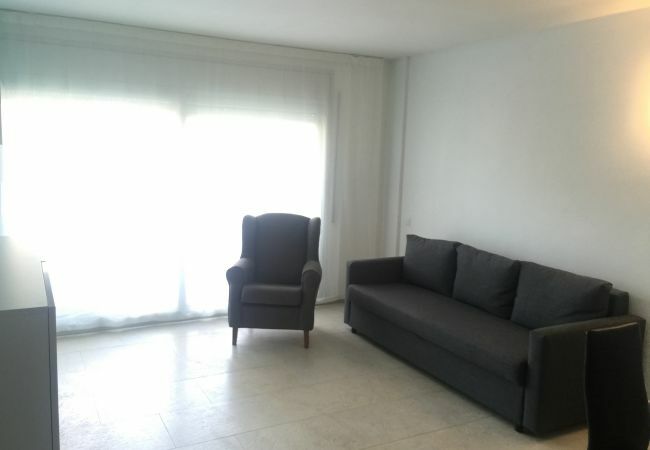 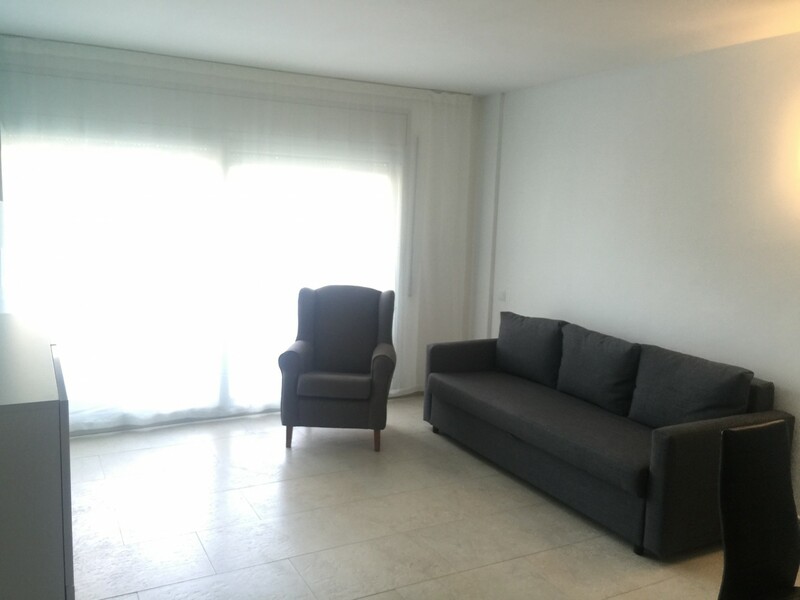 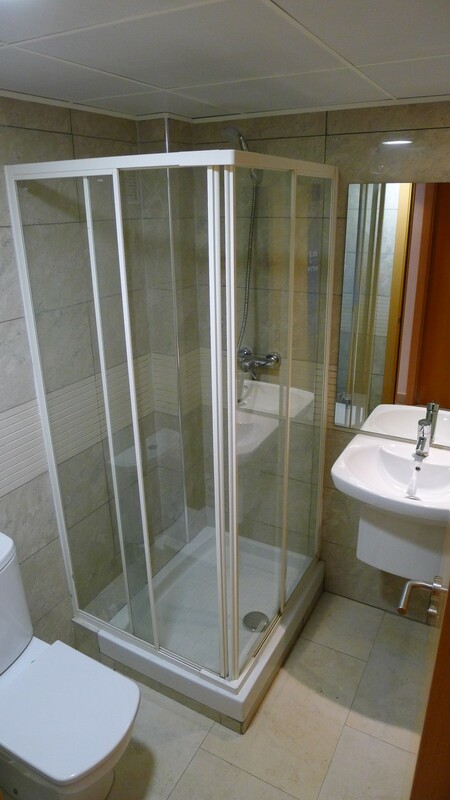 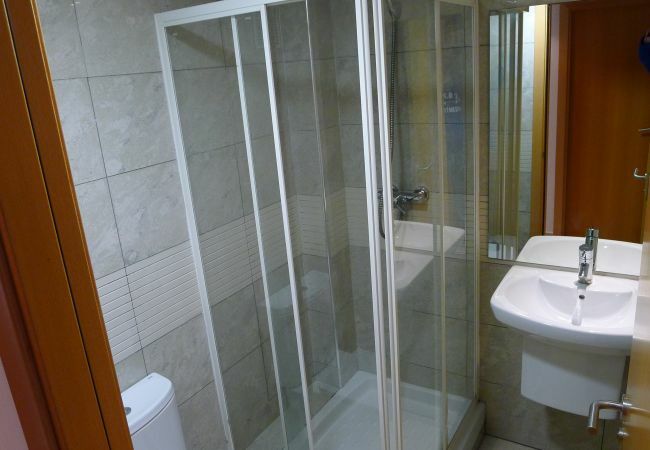 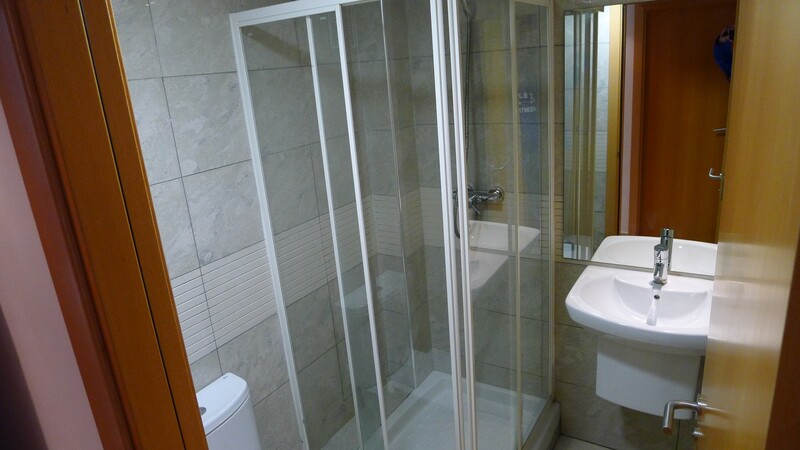 The apartment is comfortable, is very light, and is 80 m². 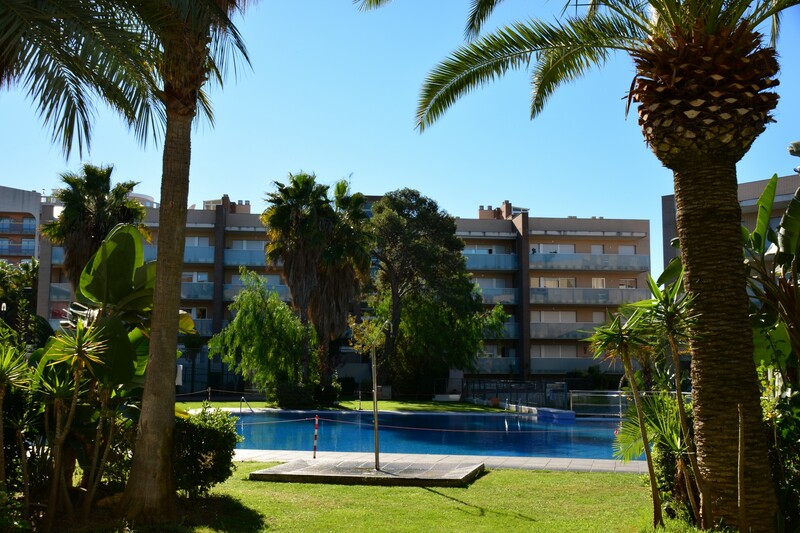 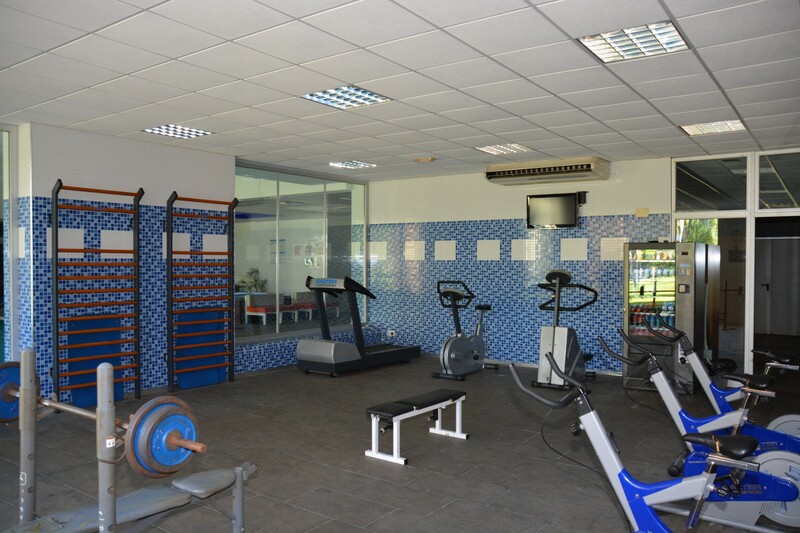 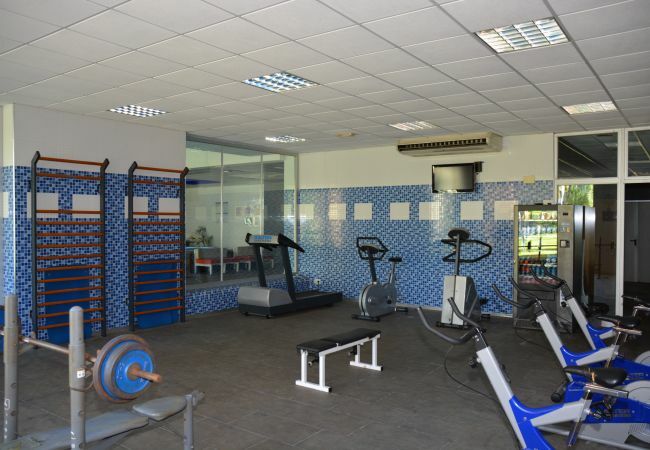 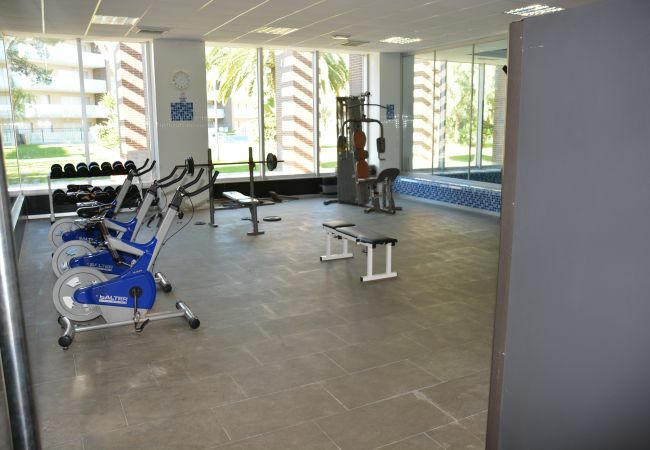 The property is located 300 m from the sand beach, 300 m from Port Aventura amusement park / theme park. 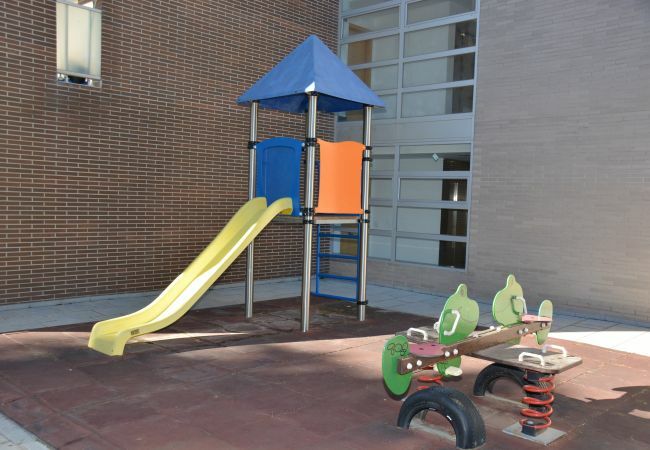 The house is situated in a family-friendly neighborhood in a residential complex. 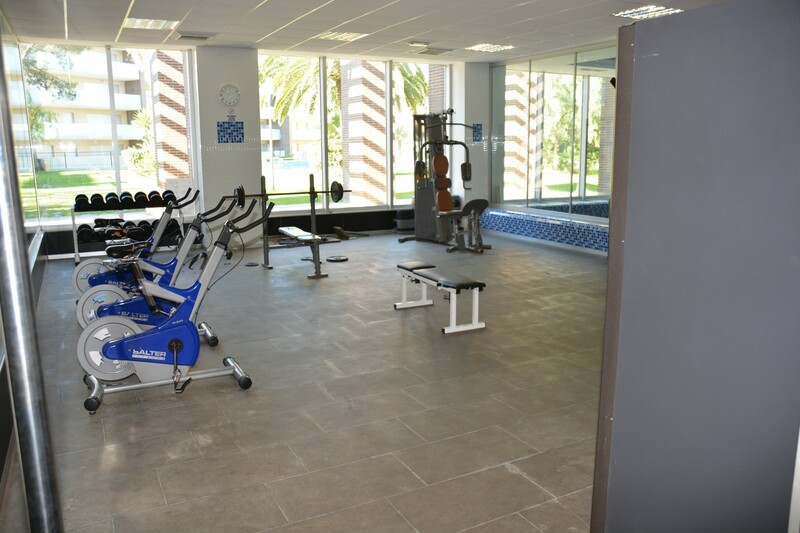 The accommodation is equipped with the following items: lift, garden furniture, fenced garden, 40 m² terrace, iron, internet (Wi-Fi), hair dryer, childrens area, paddle tennis court, gym / fitness centre, indoor hot-tub, air conditioning (hot/cold), air-conditioned, communal+children's swimming pool, communal heated swimming pool, covered parking in the same building, 1 TV. 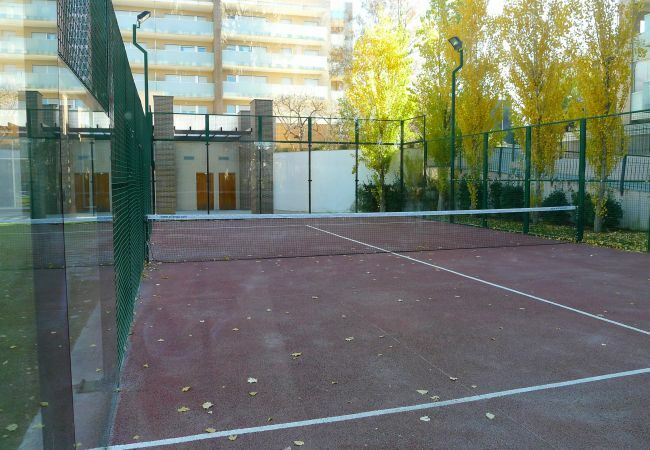 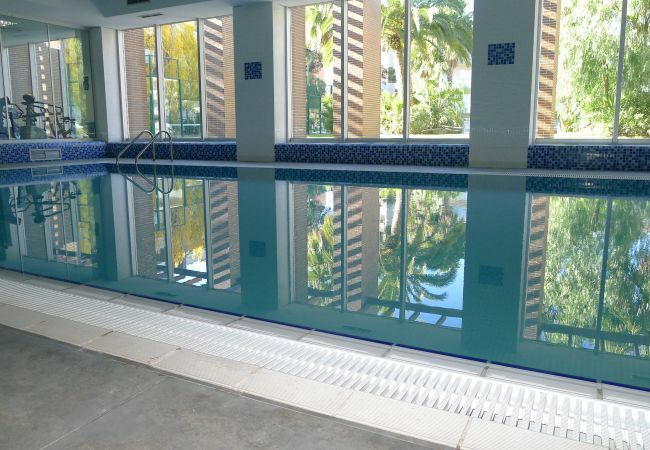 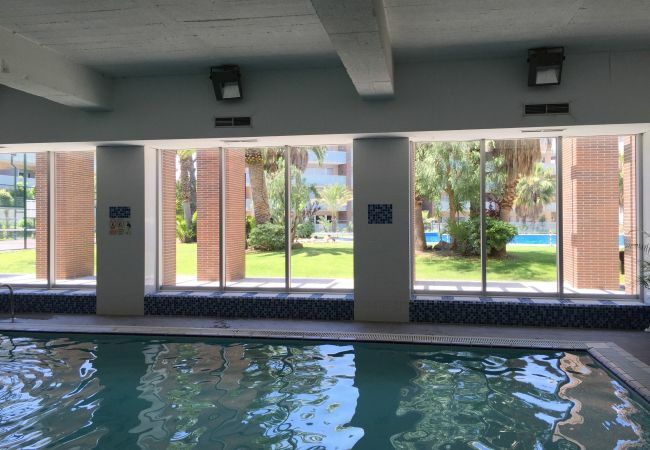 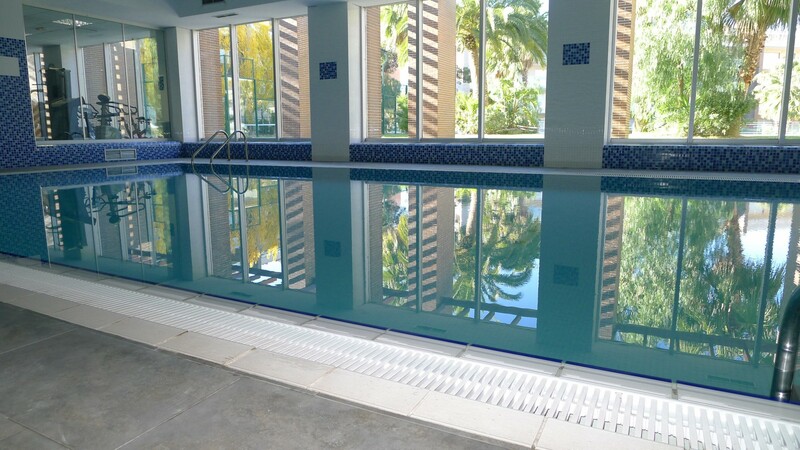 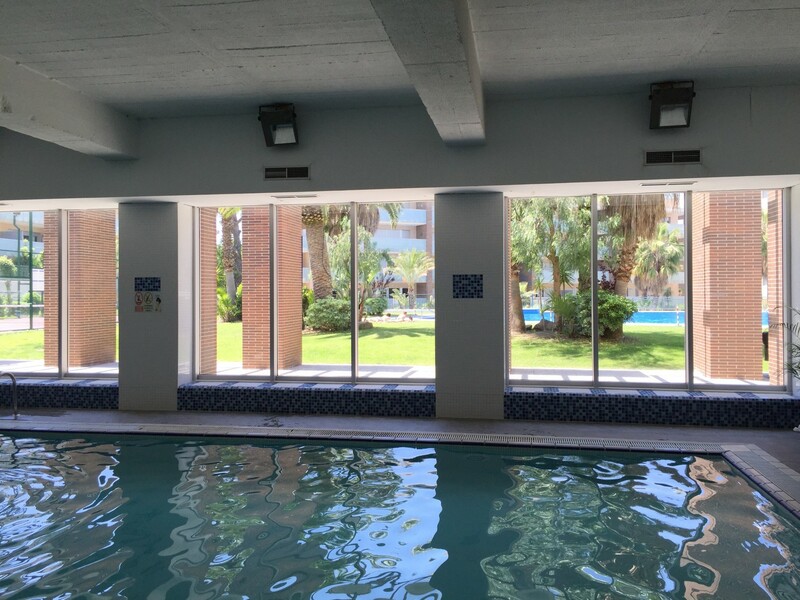 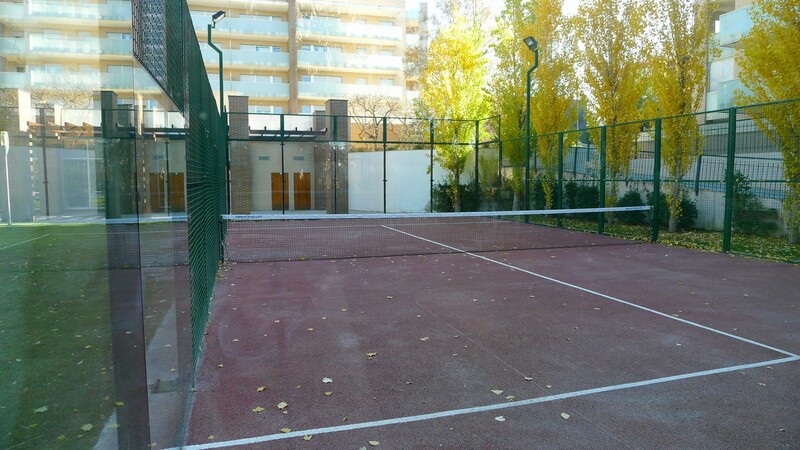 - 1 TV, 1st floor, lift, garden furniture, fenced garden, 40 m² terrace, iron, internet (Wi-Fi), hair dryer, childrens area, paddle tennis court, gym / fitness centre, indoor hot-tub, 80 m² property, air conditioning (hot/cold), air-conditioned, communal+children's swimming pool (dimensions 200, max depth 6.6 ft, min depth 2 ft, opening date 1/5, closing date 30/10), communal heated swimming pool ( max depth 5.58 ft, min depth 4.92 ft, opening date 1/1, closing date 31/12), Covered parking in the same building.